A beautifully crafted collection of laid-back music. 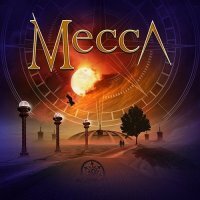 Boutique labels come and go but MelodicRock Records, under the stewardship of Andrew McNeice, seem to be building a neat roster of artists and bringing some quality releases to the ears of fans of AOR and Melodic Rock. Mecca's new album is no exception. Despite the fact that I have classified this as Melodic Rock, I could easily have labelled it as West Coast Rock. Five years after 'Undeniable', this was three years in the making, although I think it was redone several times in this period. 'III' is produced by Toto drummer Shannon Forrest with some of Nashville's finest session musicians – Tim Akers on B3 and piano (Rascal Flatts, Amy Grant, Kid Rock, Alabama), Toto's legendary bass man David Hungate and David Browning (Katy Perry, Amy Grant, Hollywood Heroes) and all this seems have brought out the best in Joe Vana. Quality abounds on this album, but I don't think it will have you air-guitaring around your room because this is a beautifully crafted collection of laid-back music. There's some soulful guitar work from Joey Vana (son of Joe) such as on 'Unknown'. You will also find mixes of styles abound too as evidenced by songs like 'Gone' which has a real Jazzy groove. The intro into 'Cry', however, would not be out of place on a Genesis album (Phil Collins era that is). 'Alone' is a masterpiece of a ballad. Call me a romantic but 'III' is a perfect evening in with candles lit and a bottle of wine! Fans of Toto and Asia will find this album perfect for their collection, but I'd have to say the label's comparisons to Giant, Survivor, and Journey are a little wide of the mark. The above being said, I have one major criticism... at thirty-three minutes long, this album is short of what one would expect from three years of work and less than you used to get from the days of vinyl.